This page describes the organizational structure, functions of the committees, and members of the Longevity Genomics Research Group. Longevity Genomics Research Group members include experts in human and model organism aging, genetic epidemiology of aging, statistical genetics, and chemical informatics. The Steering Committee, NIA project scientist, and the Project Director provide oversight of all project activities. The ntegrative Data Resource Committee assembles genome-wide association study (GWAS) results for pleiotropy analysis, individual-level genetic and phenotype data, eQTL data, and functional genomic annotation in order to perform integrative data analysis. The Computational Informatics Committee develops software tools to enable novel integrative genomic analyses that will include Mendelian Randomization analysis. At an annual meeting of the Longevity Genomics Research Group, the Research Planning Committee will evaluate statistical methods and translational strategies presented by the Longevity Genomics Research Group, prioritize strategies, and design pilot studies to follow-up the most promising strategies with the goal of advancing the translation of findings into health-promoting therapeutics. In addition, an External Advisory Board composed of members with expertise in our approaches attends the annual meeting and provides recommendations on strategy prioritization, analytical approaches, and pilot studies. The EAB ensures that scientific members are aware of relevant resources and the EAB members will foster connections with the pharmaceutical industry where appropriate. The EAB will hold an executive session at the end of each annual meeting to formulate their recommendations, followed by a conference call among EAB members to create consensus recommendations that will then be communicated to the Longevity Genomics Research Group in the form of a written document. 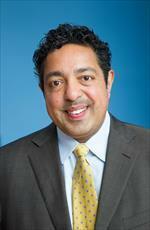 EAB Chair: Nadeem Sarwar - Eisai Co., Ltd.
Dr. Steven R. Cummings is Director of the SF Coordinating Center, a joint research operation of the California Pacific Medical Center Research Institute and the University of California Department of Epidemiology and Biostatistics. 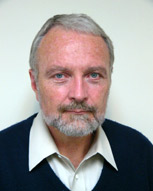 Dr Cummings is an emeritus Professor of Medicine, Epidemiology and Biostatistics, and Associate Chair for Clinical Research at the University of California, San Francisco. The Coordinating Center specializes in coordinating multi-center studies in women’s health, aging, cognitive function, cardiovascular disease, breast cancer prevention, osteoporosis, arthritis, and dementia. The Coordinating Center is also the center for a major NIA-sponsored effort to identify genetic variants controlling longevity and aging. In 1996, Dr. Cummings was elected to the American Association of Physicians and to the Council of the American Society for Bone and Mineral Research. In 2000, he was elected to the Institute of Medicine in the National Academy of Science. With support of the Daniel and Phyllis Da Costa Fund, Dr. Cummings is collaborating with researchers at the Royal Marsden Hospital in London, whose mission is to find ways to identify women at high risk for breast cancer. Together, they plan to develop new methods that can predict a woman’s chance of developing the disease, as well as learn about potential means for prevention. 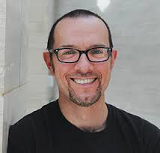 Nicholas J. Schork is a Professor and Director of Human Biology at the J. Craig Venter Institute (JCVI). He is also an adjunct Professor of Psychiatry and Family and Preventive Medicine (Division of Biostatistics) at the University of California, San Diego (UCSD). Prior to joining JCVI, Dr. Schork was, from 2007-2013, a Professor, Molecular and Experimental Medicine, at The Scripps Research Institute (TSRI), Director of Biostatistics and Bioinformatics at the Scripps Translational Science Institute (STSI), and Director of Research at Scripps Genomic Medicine, a division of Scripps Health. From 2001-2007 Dr. Schork was a Professor of Biostatistics and Psychiatry, and Co-Director of the Center for Human Genetics and Genomics, at UCSD. From 1994-2000, he was an Associate Professor of Epidemiology and Biostatistics at Case Western Reserve University in Cleveland, Ohio, and an Adjunct Associate Professor of Biostatistics at Harvard University. During 1999 and 2000, Dr. Schork took a sponsored leave of absence from CWRU to conduct research as the Vice President of Statistical Genomics at the French biotechnology company, Genset, where he helped guide efforts to construct the first high-density map of the human genome. Simon Melov, who heads the Institute’s Genomic Core, explores the role of the energy-making units inside cells, the mitochondria, which produce a chemical fuel that powers the cell’s work but which also release damaging “free radicals’’ that are linked to disease. The Melov lab studies proteins that help the mitochondria detoxify free radicals and tracks the decline of function in mitochondria that comes with age. 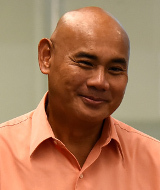 Other research interests include the age-related bone disorder osteoporosis, age-related heart disease, the role of methylation in the aging human genome, and developing molecular techniques to better understand single cell changes with age. In a landmark study, Dr. Melov and collaborators showed that the more vigorous pattern of gene expression found in young adults could be partially restored in older adults who followed an strength training exercise program for 6 months. The Melov lab looks for broader genetic fingerprints of aging by surveying the patterns of gene activity in various animals, including human beings, mice, and the nematode worm C. elegans. Nalini Raghavachari joined NIA’s Division of Geriatrics and Clinical Gerontology in 2013 as a program officer and is currently focusing on building research programs on the genetics of exceptional longevity, healthy aging, and translational genomics. Dr. Raghavachari began her NIH career at the Clinical Center in 2003 as director of the Sickle Cell Genomics Program in the Critical Care Medicine Department. She then took up a dual appointment with the intramural division of the National Heart, Lung and Blood Institute in 2005 as director of the Genomics Core Facility and served as an associate investigator in human genetic studies on vascular diseases, including the Framingham Heart Study, to identify disease mechanisms, biomarkers, and therapeutic drug targets. Prior to joining NIH, Dr. Raghavachari worked as a senior research scientist in Corning Life Sciences, developing microarray-based genomic and proteomic tools and technologies. She has also worked as a senior scientist for Procertus Biopharm Inc. in Madison, WI. Dr. Raghavachari received her Ph.D. in biochemistry from the University of Madras, India. She performed post-doctoral training in the Plant Genetic Engineering Laboratory in Las Cruces, NM, Baylor College of Medicine in Houston, and Texas A& M University in College Station, focusing on cardiovascular genetics and genomics. She was later a NIH research fellow at the University of Nebraska-Lincoln studying senile cataractogeneisis. Dan Evans is an Associate Scientist at California Pacific Medical Center Research Institute (CPMCRI). Dan received a PhD from the Department of Molecular and Cell Biology and a MPH from the School of Public Health from the University of California at Berkeley. The focus of his research is to identify and characterize genetic factors associated with age-related diseases. He takes genome-wide approaches and integrate results from these approaches with functional studies to reveal insights into the biological mechanisms of human disease. He participates in large-scale GWAS meta-analyses by leading the meta-analysis and/or by contributing results from the Health ABC study, the MrOS study, or the SOF. To perform sophisticated genetic analyses, he has led the development of a high-performance computing cluster at his institution. 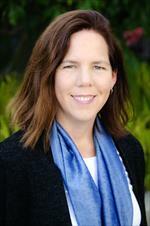 Dr. Tranah is a Scientist at California Pacific Medical Center Research Institute (CPMCRI). Dr. Tranah received his Ph.D. in ecology from the University of California, Davis, and completed postdoctoral work in epidemiology at the Harvard School of Public Health in Boston, Massachusetts. Research in the Tranah lab focuses on the genetics and epidemiology of aging and age-related diseases. Dr. Tranah leads deep sequencing studies to identify inherited and acquired mitochondrial DNA mutations that impact age-related declines in cognitive, sensory and physical functioning. He leads large-scale genetic studies of aging and disease in several population-based cohorts, and conducts analyses in multiple international genetics consortia. Dr. Joanne Murabito graduated from the University of Rochester in 1981 and received her medical degree from Mount Sinai School of Medicine in New York in 1985. She completed a residency in internal medicine at Boston University Hospital followed by a research fellowship at the Framingham Heart Study and a master’s degree in epidemiology at the Harvard School of Public Health. Dr. Murabito is Director of the Clinic at the Framingham Heart Study and she is an Associate Professor of Medicine at Boston University School of Medicine. Her research interests include the epidemiology and genetics of longevity, healthy aging, reproductive aging and peripheral artery disease. Dr Murabito is a member of the Genetics of Longevity Consortium sponsored by NIA. She continues to practice primary care at Boston Medical Center. Kathryn L. Lunetta, Ph.D. joined the Department of Biostatistics in the fall of 2004 as an Associate Professor. Prior to her arrival, she held positions in the biotechnology industry, and was on the faculty in the Biostatistics department at the Harvard School of Public Health and Dana-Farber Cancer Institute. Dr. Lunetta’s research focuses on statistical problems and study design and analysis issues in human genetics, particularly in the mapping of complex genetic diseases. Dr. Lunetta collaborates as a statistical geneticist on several projects studying the genetic components of complex traits such as Huntington Disease, cardiovascular disease, and successful aging/longevity. Douglas P. Kiel is a Geriatrician and Professor of Medicine at Harvard Medical School. He serves as the Director of the Musculoskeletal Research Center at the Institute for Aging Research, Hebrew SeniorLife. He is an Associate Member of the Broad Institute of MIT and Harvard. He leads the Musculoskeletal Working Group of the Cohorts for Heart and Aging Research in Genomic Epidemiology (“CHARGE”) Consortium, is a member of the Genetic Factors for Osteoporosis (“GEFOS”) Consortium Steering Committee, and is a co-convener of the Bone Mineralization Working Group of the Trans-Omics for Precision Medicine (TOPMed) Program. His genetics research focuses on diseases of the musculoskeletal system and diseases of aging. Thomas Girke is a Professor of Bioinformatics at the University California, Riverside. He received his Ph.D. from the University Hamburg, Germany. 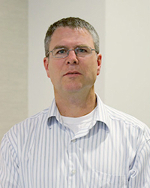 His research focuses on the development of computational data analysis methods for genome biology and small molecule discovery. This includes discovery-oriented data mining projects, as well as algorithm and software development projects for data types from a variety of high-throughput technologies such as next generation sequencing (NGS), genome-wide profiling approaches and chemical genomics. 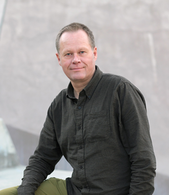 As part of the multidisciplinary nature of his field, he frequently collaborates with experimental scientists on data analysis projects of complex biological networks. Another important activity is the development of integrated data analysis systems for the open source software projects R and Bioconductor. 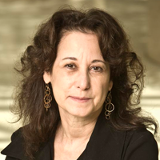 Judith Campisi has received international recognition for her contributions to understanding why age is the largest single risk factor for developing a panoply of diseases, ranging from neurodegeneration to cancer. Her highly acclaimed research integrates the genetic, environmental and evolutionary forces that result in aging and age-related diseases, and identifies pathways that can be modified to mitigate basic aging processes. Dr. Campisi received a PhD in Biochemistry from the State University New York at Stony Brook and completed postdoctoral training at the Harvard Medical School. As an assistant professor at the Boston University Medical School, she became interested in the control of cellular senescence and its role in tumor suppression and aging. She joined the Lawrence Berkeley National Laboratory as a Senior Scientist in 1991. She established a second laboratory at the Buck Institute in 2002. At both institutions, she established a broad program to understand various aspects of aging, with an emphasis on the interface between cancer and aging. The Campisi laboratory has made several pioneering discoveries in these areas, and her research continues to challenge and alter existing paradigms. In recognition of the quality of her research and leadership in the field, she has received numerous awards, including two MERIT awards from the US National Institute on Aging, and awards from the AlliedSignal Corporation, Gerontological Society of America, American Federation for Aging Research, and, most recently, the Longevity prize from the IPSEN Foundation. She currently serves on numerous national and international editorial and advisory boards. Dr. Luigi Ferrucci is a geriatrician and an epidemiologist who conducts research on the causal pathways leading to progressive physical and cognitive decline in older persons. In September 2002, he became the Chief of the Longitudinal Studies Section at NIA and the Director of the Baltimore Longitudinal Study on Aging. Dr. Ferrucci received a Medical Degree and Board Certification in 1980, a Board Certification in Geriatrics in 1982 and Ph.D. in Biology and Pathophysiology of Aging in 1998 at the University of Florence, Italy. He spent a 2-year internship at the Intensive Care Unit of the Florence Institute of Gerontology and Geriatrics, and was for many years Associate Professor of Biology, Human Physiology and Statistics at the University of Florence. Between 1985 and 2002 he was Chief of Geriatric Rehabilitation at the Department of Geriatric Medicine and Director of the Laboratory of Clinical Epidemiology at the Italian National Institute of Aging. During the same period, he collaborated with the NIA Laboratory of Epidemiology, Demography, and Biometry where he spent several periods as Visiting Scientist. Dr. Ferrucci has made major contributions in the design of many epidemiological studies conducted in the U.S. and in Europe, including the European Longitudinal Study on Aging, the “ICare Dicomano Study,” the AKEA study of Centenarians in Sardinia and the Women’s Health and Aging Study. He was also the Principal Investigator of the InCHIANTI study, a longitudinal study conducted in the Chianti Geographical area (Tuscany, Italy) looking at risk factors for mobility disability in older persons. Dr. Ferrucci is currently refining the design of the BLSA to focus more on normal aging and the development of age-associated frailty. Dr. Ferrucci is Scientific Director, NIA since May 2011. Atul Butte, MD, PhD is the Director of the new Institute of Computational Health Sciences (ICHS) at the University of California, San Francisco, and a Professor of Pediatrics. Dr. Butte trained in Computer Science at Brown University, worked as a software engineer at Apple and Microsoft, received his MD at Brown University, trained in Pediatrics and Pediatric Endocrinology at Children’s Hospital Boston, then received his PhD in Health Sciences and Technology from Harvard Medical School and MIT. Dr. Butte then spent 10 years at Stanford, culminating in his role as Chief of the Division of Systems Medicine at Stanford. Dr. Butte is also a founder of three investor-backed companies: Personalis, providing clinical interpretation of whole genome sequences, Carmenta, discovering diagnostics for pregnancy complications, and NuMedii, finding new uses for drugs through open molecular data. Dr. Butte’s research laboratory builds and applies tools that convert more than 400 trillion points of molecular, clinical, and epidemiological data – measured by researchers and clinicians over the past decade and now colloquially known as “big data” – into diagnostics, therapeutics, and new insights into disease. Examples of this method includes work on cancer drug discovery published in the Proceedings of the National Academy of Science (2000), on type 2 diabetes published in the Proceedings of the National Academy of Science (2003 and 2012), on fat cell formation published in Nature Cell Biology (2005), on obesity in Bioinformatics (2007), and in transplantation published in Proceedings of the National Academy of Science (2009). Manolis Kellis is an Associate Professor of Computer Science at MIT, a member of the Computer Science and Artificial Intelligence Laboratory and of the Broad Institute of MIT and Harvard, where he directs the MIT Computational Biology Group (compbio.mit.edu). 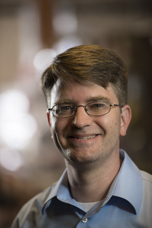 His group has recently been funded to lead the integrative analysis efforts of the modENCODE project for Drosophila melanogaster, and also for integrative analysis of the NIH Epigenome Roadmap Project. 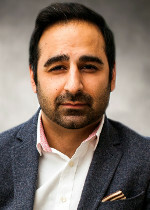 He has received the US Presidential Early Career Award in Science and Engineering (PECASE) for his NIH R01 work in Computational Genomics, the NSF CAREER award, the Alfred P. Sloan Fellowship, the Karl Van Tassel chair in EECS, the Distinguished Alumnus 1964 chair, and the Ruth and Joel Spira Teaching Award in EECS. He was recognized for his research in genomics as one of the top young innovators under the age of 35 by Technology Review Magazine, one of the principal investigators of the future by Genome Technology magazine, and one of three young scientists representing the next generation in biotechnology by the Boston Museum of Science. He obtained his Ph.D. from MIT, where he received the Sprowls award for the best doctorate thesis in computer science, and the first Paris Kanellakis graduate fellowship. Prior to computational biology, he worked on artificial intelligence, sketch and image recognition, robotics, and computational geometry, at MIT and at the Xerox Palo Alto Research Center. He lived in Greece and France before moving to the US. The Lipton laboratory studies molecular mechanisms of neurodegenerative diseases and stroke, including the role of excessive stimulation of ion channels and intracellular signaling pathways in nerve cells. Among the laboratory’s accomplishments and ongoing activities are (i) development of the first glutamate receptor/channel antagonist drug (Memantine/Namenda®), representing the most recent therapeutic to to be clinically approved for the treatment of Alzheimer’s disease by the European Union and the FDA, (ii) discovery witih colleagues of the posttranslational protein modification termed S-nitrosylation (reaction of NO with a critical thiol group to control protein function), (iii) characterization of signaling events leading to neuronal injury and apoptosis in AIDS, and (iv) discovery and cloning of the transcription factor MEF2C that programs Embryonic Stem Cells to become nerve cells in the brain and whose knock down in the brain of rodents and humans causes Autism Spectrum Disorders (ASD). These studies have led to the development of the first neuroprotective drugs to be administered successfully to humans to combat various neurodegenerative and vascular diseases of the brain. Nadeem is the founder and president of the Eisai AiM Institute, an industry unique discovery innovation unit within the greater Boston biopharma hub of 90 integrated scientists at a dedicated state-of-the-art research facility in Andover, MA. The AiM (Andover innovative Medicines) Institute’s exclusive mission is to realize human genetic driven drug discovery, with a predominant focus on delivering precision medicines for the subset of patients with immune-driven pathology in dementia (immunodementia) and oncology (immunooncology). Nadeem’s expertise is in human genetics guided drug discovery and precision medicine. He has executive-level experience in academia (Tenured Faculty, University of Cambridge, UK), big-pharma (Senior Director, Pfizer Inc.), mid-size pharma (Vice President, Genetics & Human Biology, Eisai Inc.) and biotech-like organizations (President, Eisai AiM Institute). Michael Snyder is the Stanford Ascherman Professor and Chair of Genetics and the Director of the Center of Genomics and Personalized Medicine. Dr. Snyder received his Ph.D. training at the California Institute of Technology and carried out postdoctoral training at Stanford University. He is a leader in the field of functional genomics and proteomics, and one of the major participants of the ENCODE project. His laboratory study was the first to perform a large-scale functional genomics project in any organism, and has developed many technologies in genomics and proteomics. These including the development of proteome chips, high resolution tiling arrays for the entire human genome, methods for global mapping of transcription factor binding sites (ChIP-chip now replaced by ChIP-seq), paired end sequencing for mapping of structural variation in eukaryotes, de novo genome sequencing of genomes using high throughput technologies and RNA-Seq. These technologies have been used for characterizing genomes, proteomes and regulatory networks. Seminal findings from the Snyder laboratory include the discovery that much more of the human genome is transcribed and contains regulatory information than was previously appreciated, and a high diversity of transcription factor binding occurs both between and within species. He has also combined different state-of–the-art “omics” technologies to perform the first longitudinal detailed integrative personal omics profile (iPOP) of person and used this to assess disease risk and monitor disease states for personalized medicine. He is a cofounder of several biotechnology companies, including Protometrix (now part of Life Technologies), Affomix (now part of Illumina), Excelix, and Personalis, and he presently serves on the board of a number of companies. My research focuses on how social factors experienced across the lifecourse, from infancy to adulthood, influence cognitive function, dementia, stroke, and other health outcomes in old age. A separate theme of my research focuses on overcoming methodological challenges encountered in analyses of social determinants of health, and cognitive outcomes in particular. Many of these challenges are being addressed in the MELODEM (MEthods in LOngitudinal research on DEMentia) initiative, an international group of researchers focusing on analytic challenges in research on dementia and cognitive aging. MELODEM is organized into working groups on measurement, selection/survival, time-scale definitions, complex confounding, high-dimensional data. I have advocated the use of causal directed acyclic graphs (DAGs) as a standard research tool to represent our causal hypotheses and help elucidate potential biases in proposed analyses. In other cases, the methodological problems require more analytical solutions that have been developed elsewhere in epidemiology or in other disciplines, but are rarely applied to these research questions. Instrumental variables analyses of natural or induced experiments are one promising example. Genetic variations have recently been advanced as possible instrumental variables to estimate the health effects of a wide range of phenotypes, an approach sometimes called “Mendelian Randomization.” Using genetic polymorphisms as instrumental variables could provide a very powerful tool for social epidemiology, but the inferences from such analyses rest on strong assumptions. Thus I am currently working with a team to explore approaches to evaluating the plausibility of those assumptions in applications for social epidemiology. My laboratory applies genetics and genome science to drug discovery and development. We integrate molecular and computational tools for drug pathway discovery, target validation and biomarker discovery. The team uses a range of tools in human genetics and genomics, including high-throughput gene expression, microarrays and next-generation sequencing. A focus of the team is applications of human genetics to drug target discovery and patient stratification. We seek to discover novel genetic associations with disease or drug response, and to unravel the biology of known and novel genetic variants. These studies increasingly rely on integrating genomic, transcriptomic and clinical data. By working closely with clinical researchers and computational biologists, we aim to translate basic research discoveries into new drug targets and biomarkers. John Irwin is Adjunct Associate Professor in the Department of Pharmaceutical Chemistry at the University of California San Francisco. John works on methods to discover new reagents for biological targets using target- and ligand-based methods. He applies these methods to various projects, and particiates in numerous collaborations. John develops the ZINC database of commercially available compounds for virtual screening, the DUDE database for benchmarking virtual screening methods, the DOCK Blaster family of products for web-based virtual screening, and the SEA method of comparing proteins by the ligands they bind.